When successful model Ciara Cain wakes up in hospital, remembering nothing of the weeks she has been missing, her only clues are the ugly words carved into her skin. According to the police she was a victim of the Cutter, a serial killer who has already murdered three women. For her protection the police and her doctors give a press conference, announcing that because her amnesia is organically caused, her memory loss is permanent. But, whether her memory returns or not is anybody’s guess. Overnight, Ciara’s glamorous life is gone. Her scars have killed both her modelling career and her relationship with her rich boyfriend. With nothing to keep her in New York, she returns to her home town of Seattle, moves in with her sister and goes about building a new life. But when her sister lets it slip that Ciara’s memory is returning, the killer comes after her again. If Ciara is to stay alive, she must keep one step ahead of the Cutter. 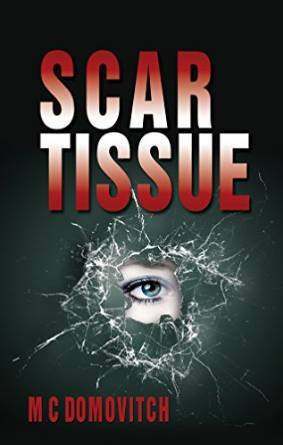 Scar Tissue is available at Amazon. It was the pain that pierced the fog in her brain. It seemed to come from all over her body, more intensely from her right leg, where it pulsated to the rhythm of her heart. She tried to open her eyes, but her lids felt…so…very…heavy. It was easier to fall back into the haze inside her mind. She floated there, vaguely aware of somebody calling her name. “Ciara, it’s me.” The voice sounded familiar, but she couldn’t place it. “Please wake up.”.”” She drifted off again. Time had lost all meaning. She wandered in and out of a great void. She might have been sleeping for minutes or days. Occasionally her eyelids fluttered for a few seconds, only to grow still again. One day when she opened her eyes, the fog had lifted. The first thing she saw were old acoustic ceiling tiles. Puzzled, she blinked. A beeping caught her attention and she shifted her gaze to the side. Next to her was a monstrous machine. Tubes were running from it to her and back again. Where was she? She tried to speak, but there was something in her mouth. She moaned, and then a woman was bending over her, her eyes full of tears. “Ciara. Can you hear me?” Her sister? Deirdre was here? All the way from Seattle? She must be in a hospital. If she was sick, whatever she had was serious. “If you can, squeeze my hand.” She strained to move, but her limbs were great weights. Her movements were sluggish. But she must have squeezed because suddenly Deirdre was yelling, “She’s awake. Ciara is awake.” But she was asleep again. Over the next few days, there were more and more moments of awareness. The tube in her mouth was removed and she was given ice chips, and then water. She couldn’t seem to get enough. “Good morning, young lady,” a doctor said. It was morning? She’d had no idea. He shone a penlight in her eyes. She vaguely remembered him doing this before. She must have drifted off again, because she blinked and he was gone. A different doctor came to visit. He wore surgical greens. He too peered into her eyes with a light and then asked her a number of questions, starting with her name. She hadn’t dreamed it. Her sister truly was right here in New York. This is New York, isn’t it? She had to think hard. “One hundred, ninety-nine, ninety-eight.” Had she gotten that right? “I was in an accident?” she guessed. “Seven…” That was impossible. Why, that photo shoot was only yesterday. She was sure of it. She’d been looking forward to her flight to Italy and auditioning for all the glamorous designer shows. Could that really have been over two weeks ago? She suddenly noticed her forearms. She hardly recognized them as her own. They were so thin. She must have lost a ton of weight. Her first reaction was one of joy. Even her agent would have to agree she was thin enough now. She imagined what she might say when she saw her. Why Ciara, you’re a perfect size two. Armani will adore you. But from what her sister had just said, the collections were already half over. And come to think of it, she had no idea what kind of shape she was in. How badly was she hurt? Could she even walk? She flexed her toes and was relieved to see movement under the bedsheet. At least she wasn’t paralyzed. “What about my head? Am I… Will I…” She could deal with all of that, but the thought of having a brain injury was too much. The room became quiet. “That’s not abnormal,” the doctor said at last. “You’ve only been fully awake for a few hours. It could take days, maybe even longer before everything comes back to you.” Ciara nodded, her eyes darting from the doctor to her sister. She had the feeling they were keeping something from her. M C Domovitch is the author of nine novels, four of which were published under the name of Carol Ann Martin (by Penguin), another two under the name Monique Domovitch (by Carina Press) The other three are published as M C Domovitch, Scorpio Rising, The Sting of the Scorpio (Both now republished in one single tome) and Scar Tissue. The decision to use a different pen name was based on her departure from cozy mysteries and entering the Romance and Romantic Suspense genres. Before becoming an author, Monique had multiple careers, beginning with modeling. She won a modeling contest in the 70s and became one of Canada's top models. After retiring from the fashion industry, she studied finance and joined an investment company. 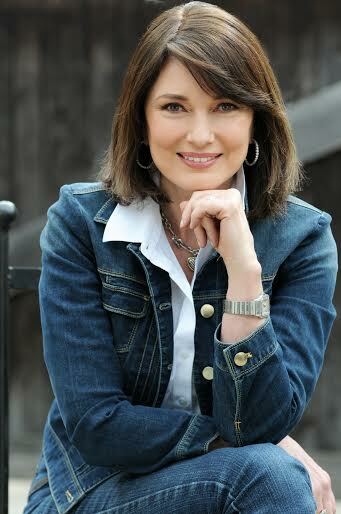 This led to a new career as host of her own television show about investing, with the television network, WTN. Following her retirement from finance, she decided to pursue her true passion, writing. At a writing workshop at San Diego's Writers' Conference, one of her unpublished books caught the eye of a publisher and of an agent. And the rest, as they say, is history. Domovitch lives with her physician husband and their dogs. They divide their time between homes in Victoria and Toronto Canada and Key Largo Florida.